During carnival season in St Lucia Calypso songs are played more as part of the carnival build-up, along with a competition to be the Calypso Monarch. Although it’s easy to get caught up with the catchy beat, it was not until I was stuck in traffic listening to the radio did I really listen to the lyrics. A particular song struck my ears with the chorus of “Lizzie has got to go” which is a song about having the British Queen still on the St Lucia bank notes. As well as a pleasing tune, the lyrics struck an island truth. St Lucia has many of its own heroes, sporting and with not one, but two Nobel Peace Prize winners, you had to question why other islands had their own history on their bank notes but not St Lucia. I agree with the song. It really is time for Lizzie to go. From that song I started to listen a bit more carefully to the Calypso lyrics more closely rather than simply tapping my flip-flopped feet to the tune. This year’s Calypso songs have seen a lot of commentary upon the current Prime Minister. None of it favourable but this seems to be the trend with Calypso. It clears the air. However, many years ago, 0ne Prime Minister in Barbados took a calypsonian artist to court for a song about him. Despite the satirical and biting lyrics, the Government of Saint Lucia has a Calypso Management Committee which gives financial support to the calypso tents during carnival season. This helps support the band, venue and performers, ensuring that Calypso continues. I like to think that this shows a sporting attitude by the authorities. Unlike the British Government who during the last general election banned a song criticizing them from the radio. Huzzah for the internet and downloads! “In terms of the Government’s feedback for the songs, because I know that has always been an issue with respect to people singing calypso and singing about Government Ministers and singing about Government, it’s the season, you know let’s have fun and so all we want is the fun to be clean, all we want is for the fun to be respectful and for people to understand that we are living in a society where people are free to express themselves, within the confines of the law”. 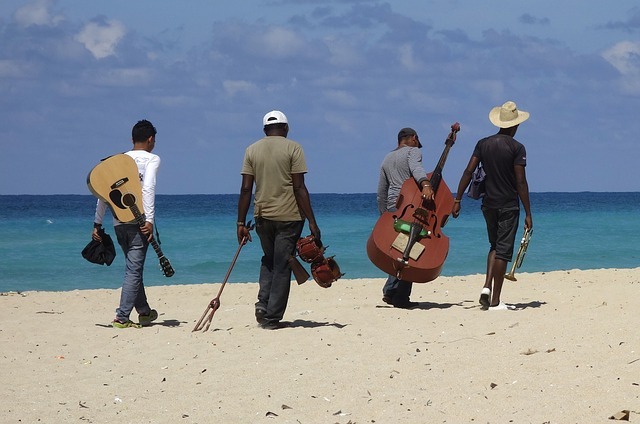 Calypso is not just enjoyable music but a tale about Caribbean life. It’s politics, sport, carnival and current events. Many songs have a sense of humour and double entendre as well as beat you want to shake your hips too! Listen carefully the next time you hear a song and be entertained.